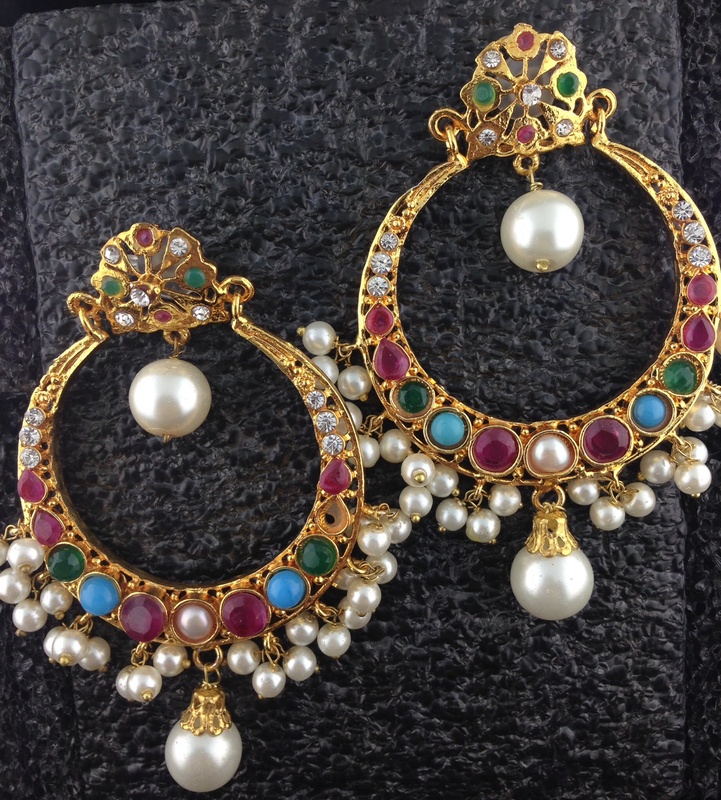 Chand Bali Multicolored Kundan Earrings With Pearls. Light weight gold polished kundan Chand Bali multicolored earrings pearls. Most Of our jewelry is made on silver plated with 22k gold studded or strung with precious authentic gemstones, cultured and semi-precious natural stones.